Are you struggling to find a Mother’s Day, Easter or Birthday present that inspires you and will inspire a loved one? 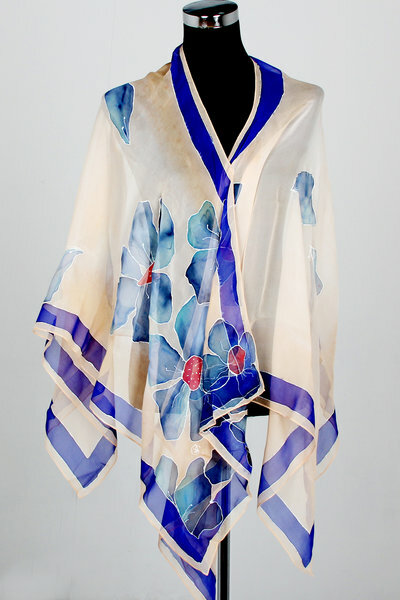 Why not visit Designer Silks by Diana website – http://designersilksbydiana.com/index.php/products – an inspirational online gift shop set up by entrepreneur Diana Kisirauskiene. Designer Silks by Diana is to reduce the pressure of choosing gifts, by offering a wide choice in a single place. Diana has selected, and stocks, a range of original, unique, personalized and thoughtful gifts to make loved ones smile. From ladies scarves in different design, sizes, colours, boleros, sarongs and pictures, ties. There are unique gifts for everyone; Mum, Dad, Grandma, friends, colleagues and even yourself when you fancy a treat. Scarves have become the all year round fashion essential – choose from our selection with prices from £55.00. Previous Previous post: Global Success for Designer Silks by Diana!